Interior design schools may teach interiors 101, but not before they teach students about the tools that will make them better at their jobs and more likely to get projects done within their deadline. Interior design software can make all the difference in discovering what works (and what doesn’t) before spending a ton of the budget on drafts of an interior design. Students in San Jose’ learned first-hand that knowing how to use this kind of computer program can really help tilt the odds of success. 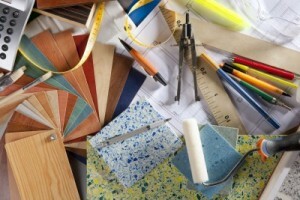 (PRWEB) May 22, 2012 – When words fall short, interior designers turn to 3D visualization. It’s a keen bit of advice and something that the faculty at San José State University School of Art & Design makes sure every student knows before they graduate. Recently this strategy of imparting insight and teaching students 3D tools resulted in a near sweep of the International Interior Design Association of Northern California’s (IIDA) Student Design Awards. It appears all that time learning Luxology®’s modo®, the school’s 3D package of choice, paid off.